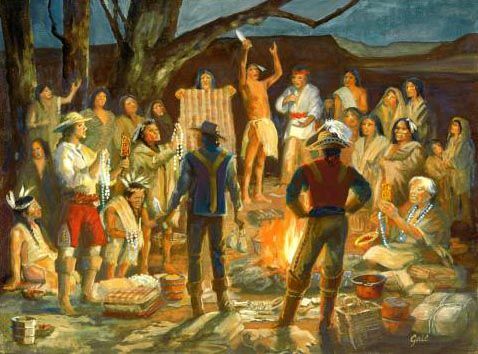 Spain, the first European nation to colonize the New World, pushed northward from Mexico to Pueblo Indian villages and beheld the Grand Canyon of the Colorado River 80 years before the Pilgrims landed at Plymouth Rock. In the 17th and 18th centuries, Spain drew no boundaries for New Mexico. The province stretched as far to the north as military expeditions could enforce periodic recognition of Spanish power among the Indians on the plains and in the mountains. The exact date of the earliest Spanish contact with the Ute Indians of Colorado remains in question, but it has been established that the introduction of the horse to the Utes dates from as early as 1640. Having seen horses and learned of their utility as mounts, the Indians were eager to procure these animals. 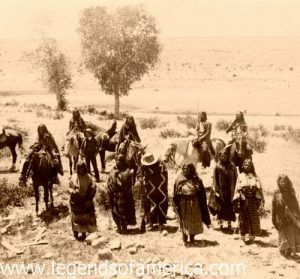 Subsequently, Spanish traders followed trails into distant Ute villages, and Indians made return calls at New Mexican towns such as Taos bringing buckskin, dried meats, furs, and slaves to barter for horses, knives, and blankets. As a result of trading, during the 17th and early 18th centuries, Spanish-Ute relations were characterized by peaceful interaction. 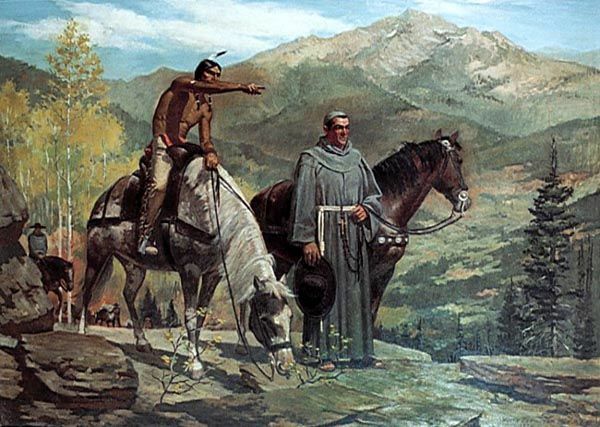 The relative harmony between the two cultures aided the Spanish in their attempts to explore the frontier north of New Mexico. By the middle of the 18th century, rumors of mineral wealth in the distant San Juan Mountains drifted into the New Mexican capital of Santa Fe. Responding to these reports, Juan de Rivera conducted three expeditions into the southern Colorado Rockies between 1761 and 1765. He took soldiers, traders, and padres north, via Taos and the San Juan River, past the La Plata Mountains to the Dolores River. He then followed the Uncompahgre River to its confluence with the Gunnison River. In the vicinity of the Gunnison River in 1765, the expedition met a band of Ute and other mountain Indians and a brisk trade was established. The party returned to New Mexico discouraged, however, as they found little in the way of precious metal. 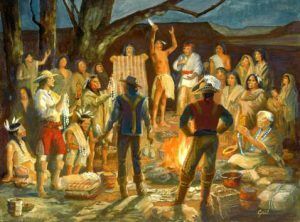 After these initial expeditions, not much is known about Spanish activity in Colorado, except that from time to time, New Mexican records show that the veterans of the Rivera expeditions conducted trade with the northern Indians. At the same time, Rivera searched for gold and silver in Southwest Colorado, inroads into the territory surrounding Spain’s New World empire were being made by her European rivals. By the mid-18th century, England possessed considerable North American territory, including the American colonies, and was moving with concerted interest into the Northwest Territories. France had established herself as a North American power in Canada, and had begun exploration southward with obvious intentions toward Spanish holdings along the Gulf of Mexico. Russia explored and took possession of west coast territory in the regions of present Alaska, Washington, Oregon, and northern California. Conflict and empire predominated the history of the European continent. North American territories acted as one stage for the unfolding of this historic drama. Fifteen years after the first Rivera expedition, Fathers Francisco V. Dominguez and Silvestre Velez de Escalante hoped to discover a mission-route that would establish a strategic communications link between Santa Fe and the missions of California. Convinced that a westward course to California in the latitude of the Hopi villages was impractical because of Hopi hostility, and that a route through Ute country north of the Colorado River would be more feasible, Dominguez and Escalante set out in 1776 upon what would become a five-month, 2000 mile journey that would take them through much of present western Colorado, Utah, Arizona, and New Mexico. Although the purpose of the Dominguez-Escalante mission was not accomplished, the expedition did have long-range effects on the history and development of the southwest. The explorers revealed a geography, potential resources, and the inhabitants of a vast inland area. The information and the accounts and maps preserved from the expedition would provide others, New Mexicans and Americans alike, a base upon which to fulfill the Padres‘ dreams. After the expedition’s discoveries, traders from New Mexico who went to the distant Ute country were no doubt influenced by Escalante’s journey. The route of the Escalante Trail, followed in part, soon became known by American traders as the Old Spanish Trail. This historic route symbolized much of what was to become the larger drama of the southwest — a contest of Empires. When nations gambled for imperial stakes in land and commerce, first-footing gave claim, and occupancy meant possession. In such a time the exploring man of commerce served more effectively than did the soldier. By the beginning of the nineteenth century, Spain became more protective of the northern buffer to her Mexican holdings. After 1803 and the Louisiana Purchase, the Spanish government shifted its earlier ban on Ute trade; Americans were forbidden the fruit of southwestern commerce. 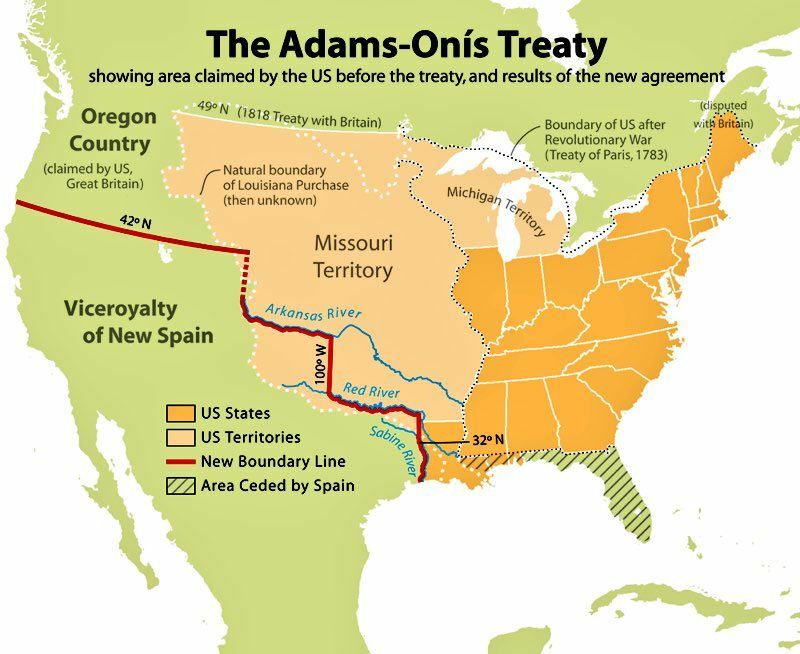 The Adams-Onis Treaty, ratified in 1819, established an official boundary between Spanish and American possessions in the southwest. This agreement left the southern plains, a substantial portion of the western Rocky Mountains, and the entire western plateau region of the American southwest in Spanish hands. With a demarcation set, the Spanish made little attempt to maintain defenses of their northern borderlands. Although this treaty remained in force until the American annexation of Mexican lands following the Mexican War in 1848, such diplomatic agreements were given little notice by a new type of frontier explorer, the fur trapper. Following potentially beaver-rich streams rather than guided by political boundaries, the fur trappers, Americans, French-Canadians, and New Mexicans alike, explored areas of western Colorado, Utah, and Wyoming as early as 1812. The Green River region below the Wind River Range in Utah had not been systematically trapped by 1821, yet when Mexico gained her independence in that year, new diplomatic relations between the United States and Mexico opened the area as a new commercial frontier. Responding to reports of rich beaver-streams in the Green River Valley, and hoping to establish successful trade relations with the New Mexican government, a host of American entrepreneurs came to Santa Fe in 1821 when New Mexico became a Mexican territory.